Bamboo clothing, bedding and bath goods retailer, Cariloha, is opening its first store in Destin’s HarborWalk Village at 10 Harbor Blvd with a grand opening celebration on May 9. DESTIN, FLORIDA – The first Cariloha store in Destin is opening at 10 Harbor Blvd. in HarborWalk Village with a grand opening celebration on May 9 where the first 50 Cariloha customers will receive a free pair of their ultra-soft, eco-friendly bamboo socks. Store grand opening visitors will also enjoy free refreshments and bamboo-product giveaways, along with the opportunity to experience Cariloha’s entire line of bamboo products, including men and women’s apparel, bedding, bath goods, fitness wear, handbags, and more, all made of bamboo fabrics. 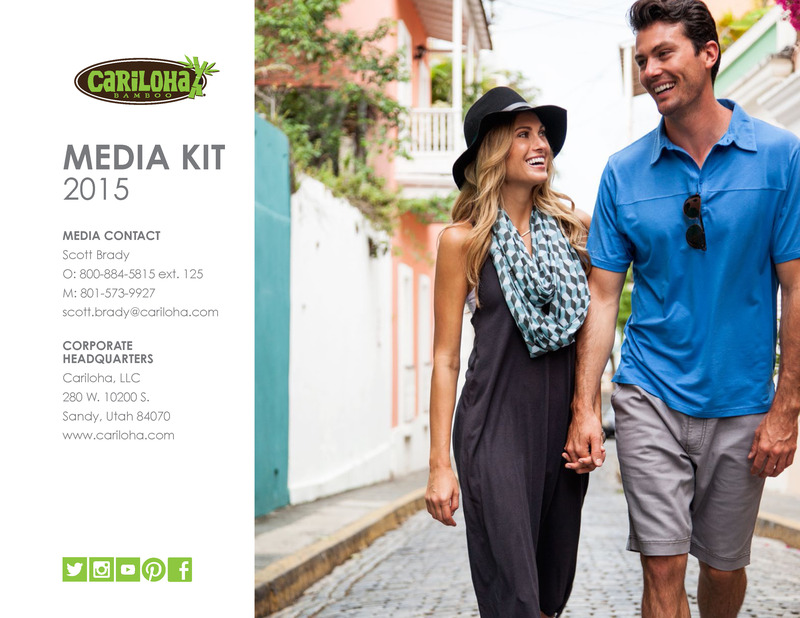 Cariloha’s flagship products include luxurious, irresistibly soft and eco-friendly sheets and towels. The name “Cariloha” comes from a combination of “Cari” for Caribbean and “loha” for “aloha” from Hawaii: the Cariloha bamboo concept was inspired by the breezy, relaxed lifestyle of the islands. Cariloha is the only multi-store retailer in the world to provide an entire store experience that’s completely merchandised with products made from bamboo fabrics. Bamboo is one of the most renewable resources on the planet and produces more oxygen than a comparable number of trees. For Destin, in particular, with its semi-tropical climate, bamboo clothing and linens offer unique benefits. Bamboo fabric is 3 degrees cooler than cotton and wicks moisture away from the skin. Twice as soft as cotton, the “green,” eco-friendly fabric also repels odor and is hypoallergenic. Above all, bamboo fabric is unbelievably soft, comparable to luxury fabrics like cashmere and silk — without the luxury fabric price. Cariloha Destin store manager, Maggie Russell, who’s lived in Destin for nearly four years now, first experienced the softness of Cariloha bamboo apparel back in 2012. She will be staffing this corporately owned store with around 10 local staff members and two corporately hired interns. Destin is a perfect fit for cool, soft bamboo apparel and linens. The Destin store, even before its grand opening, is already attracting visitors seeking the Cariloha bamboo experience. The store staff is dedicated to providing a unique and educational shopping experience for all their customers. The store utilizes educational panels, which help to inform customers of the bamboo features and benefits of the comfortable, green fabric. All Cariloha guests receive a free bamboo lei (necklace) just for stopping by the store, which helps proliferate the bamboo, eco-friendly attitude throughout the HarborWalk Village. Cariloha staffers encourage visitors to touch and feel the bamboo-soft difference of their shirts, bed sheets, towels, and hand bags for themselves. Cariloha has been rapidly expanding its international and domestic presence for the past seven years now with 19 corporately owned and 33 independently owned stores in 14 countries. Florida is home to Cariloha stores in Key West, St. Augustine, Panama City Beach, and Orlando. Other stores are found in Mexico, Grand Cayman, Jamaica, Barbados, Aruba, Curacao, Honduras, St. Maarten, Bahamas, Antigua, Bonaire, Jamaica and various cities throughout the continental U.S., Alaska and Hawaii. Established in 2007, Cariloha is the only retailer in the world to provide an entire store experience that’s completely outfit with merchandise made of bamboo. The product line features an exclusive collection of apparel, accessories, bedding and bath goods and more all made from bamboo. Cariloha’s soft, breezy bamboo goods were first sold in three, full stores in Ocho Rios, Jamaica; Cozumel, Mexico; and St. Thomas, USVI. Since the first three stores in 2008, Cariloha has already opened stores in 14 countries and continues to grow. Cariloha has quickly become one of the fastest-growing merchants promoted on board Carnival, Celebrity, Disney, Princess, Royal Caribbean and Norwegian Cruise Lines. Today, thanks to an ever‐growing, rich supply of bamboo, Cariloha continues to offer an exclusive collection of products, all enjoying the strength, soft touch, and green ‘footprint’ of this renewable resource.